Chancellor Angela Merkel is expected to win a fourth term in office as Germans go to the polls on Sunday in an election that is also likely to see the farthest right-wing party in 60 years, the anti-migrant Alternative for Germany, win seats in parliament. Merkel campaigned on her record as chancellor for 12 years, emphasizing the country’s record-low unemployment, strong economic growth, balanced budget and growing international importance. Merkel urged her supporters to keep up the momentum in the final hours before Sunday’s national election, urging a last push to try to sway undecided voters. Merkel is seeking a fourth term in office and her conservative bloc of the Christian Democratic Party and Bavarian-only Christian Social union has a healthy lead in the polls. Surveys in the last week show it leading with between 34 to 37 per cent support, followed by the Social Democrats with 21 to 22 per cent. 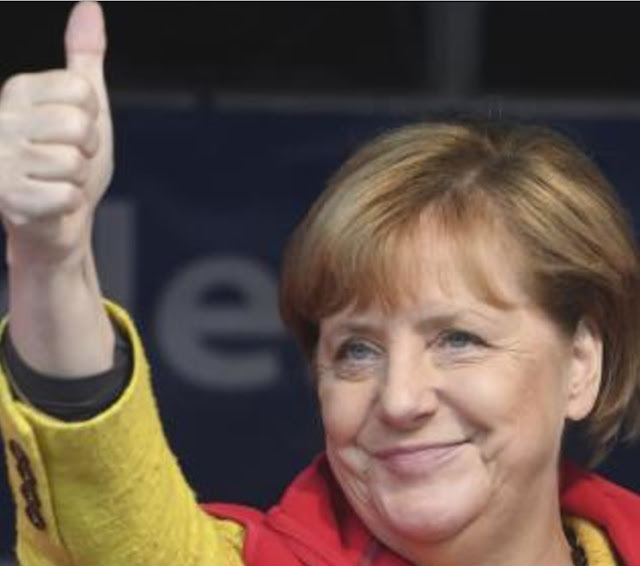 0 Response to "Germany decides: Angela Merkel tipped to win fourth term"